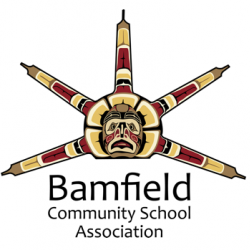 The purpose of the Bamfield Community School Association is to build a cohesive community that allows residents of Bamfield, young and old, to achieve the sense of empowerment that comes from community and learning. Our community interactions aim at enhancing, coordinating and creating personal development opportunities in Bamfield, making sure that everyone has access to the learning opportunities they need to fulfill their full potential. So what do we actually do? Sometimes the BCSA facilitates or provides financial assistance to an existing community program, however more often we are working towards developing events, programs and presentations to engage the community in all our mandates. Through this site we hope to show you a little of what we have done in the past, what we are currently involved with and some foundational ideas for potential future projects. Our work involves supporting literacy programs by organizing book swaps with other libraries, getting grants to buy books and materials and raising awareness about adult literacy. Other times, we try and get Bamfield’s minds and bodies active through organized sports, social events and lectures. We also do research in our community to determine what programs we need to create or bring in in order to make sure the needs of all our citizens are met. As much as we aim to support our community we too are supported by many organizations, grants and donations. We thank our core funder, CommunityLINK for their ongoing support.